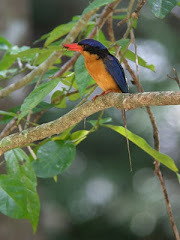 Red Mill House - Daintree Birdwatching: Buff-breasted Paradise Kingfisher has arrived!! The last of our summer migrants are in! 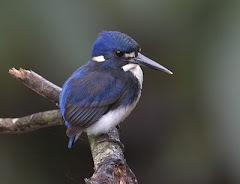 Black Bittern has been seen for the past few days on the Daintree River and this morning the first Buff-breasted Paradise Kingfisher was heard and then seen on Stewart Creek Rd in the Daintree Valley by Robyn Lowth of Daintree Sunbird Farm. We love this time of year! !